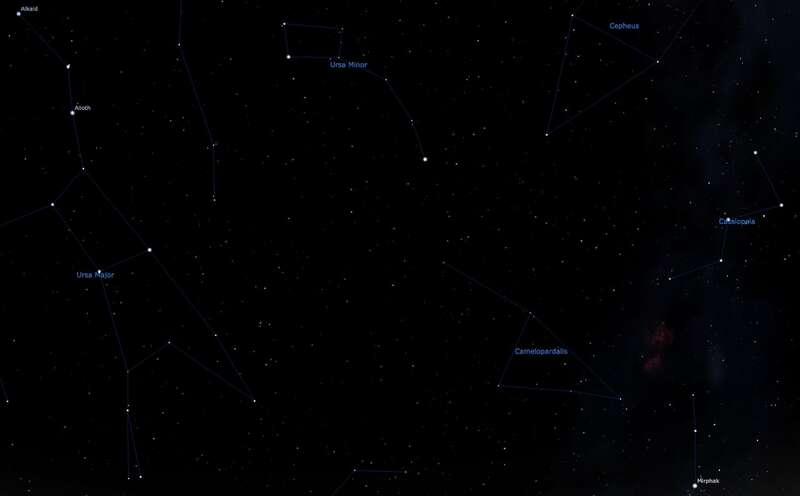 From 2 a.m. to 4 a.m. on Saturday morning, the Cameloparalids meteor shower will be visible in the night sky. And it could be epic. NASA officials are hesitant to make promises, but they’ve claimed the conditions are right for it to be a spectacular show. What makes this particular meteor shower so special? First of all, the angle of the shooting stars is more shallow, meaning the bright streaks of disintegrating debris will be slower, and visible for longer than normal. To catch a glimpse of the shower, it’s recommended to look near the North Star at constellation Cameloparalids, otherwise known as “the giraffe.” Not sure where that is? Check out this handy star map which will show its location in relation to more well-known constellations. If you miss your chance, the comet won’t return until June 2019, and will also be much farther away. So set your alarm clocks, and witness an event you may only see once in your life. Let’s just hope it doesn’t rain. For other upcoming meteor showers, check out this useful schedule.